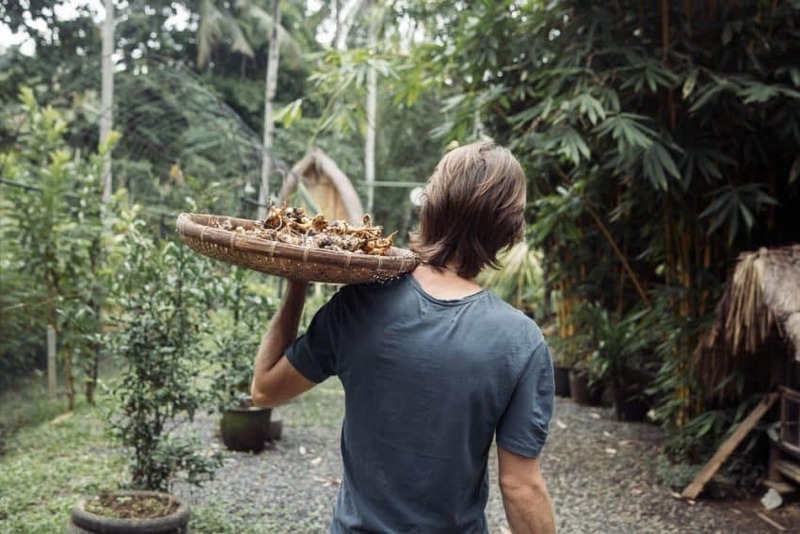 Join a two day Introduction to Permaculture in Bali workshop to learn the basics of permaculture design and get you started on your permaculture journey. Learn practical knowledge and skills to empower you to implement sustainable practices and design into your everyday life. The course will take you through the origins, ethics and principles of permaculture and will include both theory and a hands on workshops in the afternoon. You will leave with valuable insights and an ability to create more resilience and abundance in your home and community. This workshop will serve to further your knowledge, expertise and experience in the field of sustainability, regenerative agriculture and permaculture design and is suitable for anyone who is interested in nature living, and would like to understand permaculture ethics & principles and get some hands-on experience. This course is structured into the first two days of a longer Permaculture Design Course with Chris Shanks, being held at the farm. Interested in the entire course? Have a look here. The Introduction to Permaculture course is non-residential, and does not include accommodation. The workshop begins daily at 9am and ends at 5:30pm.